The Anaheim Ducks have won the Pacific Division for the last five years. That's impressive in a pretty tough division. The problem, though, is that they have only made it as far as the Western Conference final twice, and they lost it both times. They haven't played in the Cup since they won it in 2007. There is no way that the team can avoid the accusations of having underachieved given their talent and consistent dominance. Their talent is still strong, and they did little to change what they had, but the window is getting smaller as their key forwards get older. They are still capable of doing lots of damage this year, but they need to do it before it's too late. The Ducks have one of the deepest defensive units in the league, but unfortunately for them that came with a cost this offseason. They had five very good guys to protect, and only four they could protect in the expansion draft, so they lost 22-year-old defensive prospect Shea Theodore to the Golden Knights. It's a loss, but more down the road for what he could become than now. And they have another very promising youngster, Brandon Montour, coming along this year as well. To fill the gap they brought back Francois Beauchemin, who was just bought out by Colorado. He's 37, so his best days are behind him, but he spent nine years over two stints with Anaheim in the past, so organization and player are comfortable with each other. He was cheap, too, which doesn't hurt. They needed his low contract because they had some business to take care on the back end. 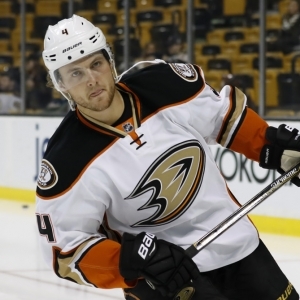 Cam Fowler was locked up for the long term, signing an eight-year, $52 million contract. On the contract front they also took care of winger Patrick Eaves, who they added at the trade deadline last year. He had a big impact on the power play, and that unit suffered when he was injured in the playoffs. The Ducks had some work to do with a backup goalie after Jonathan Bernier headed to Colorado. They went with Ryan Miller, who is 37, but was solid on a lousy Vancouver team last year. He is a capable player and will not challenge John Gibson's role as starter. Nice move. The team didn't have a draft pick until last in the second round, so help won't come from there in a hurry. Corey Perry has to be a major concern. He's been a reliable offensive force, always good for more than 30 goals. Last year, though, he had just 19. He fell out of favor with the coaching staff and wound up playing on the third line for long stretches of time. He's 32, so it's possible he won't bounce back completely this season. Age is a concern elsewhere, too. Kevin Bieksa is 36. Ryan Kesler is 33. Ryan Getzlaf is 32. Antoine Vermette is 35. In a young and fast league, that many guys who could potentially lose a step are a concern. The team is in a race against time - particularly on offense - and they need to hope that their carriage doesn't turn back into a pumpkin this year. The talent is still strong, though, and they are going to be dangerous with the goaltending and defense they have. The Pacific is tougher than ever, though. Edmonton is ready to rumble. Calgary is much improved. San Jose is still sold. The Kings have made a coaching change that should help them play closer to their potential. Anaheim is very capable of winning that division again, but they will have to be on top of their game to do so. The team has a big opportunity to open up an early lead in the division. They play 15 of their first 21 games at home, including their first four. They will pay for that later on, but it's a great chance to start strong and let the other contenders chase them. Bovada lists the Ducks as one of five teams tied at +1400 to win the Stanley Cup, trailing only PIttsburgh, Edmonton, Dallas, and Chicago. At BetOnline the Ducks are at +700 to win the Western Conference, tied with Nashville and Dallas and behind Edmonton and Chicago. They are the second choice to win the Pacific Division at +300. The Oilers are slightly favored at +275. The season win total sits at 46, which matches their total from last year. I think the winning streak in the Pacific is going to end. They will be defensively stout, but I have concerns about their offense. They are a playoff team for sure, but they feel like they have some work to do to retool up front, and this year will make it clear. I lean towards the "under" on the season win total.